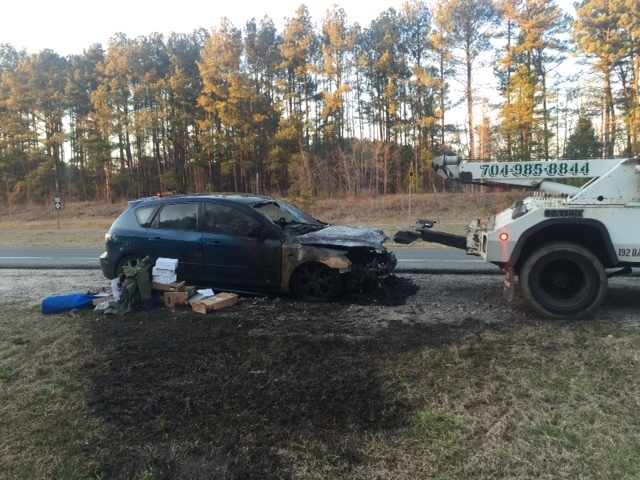 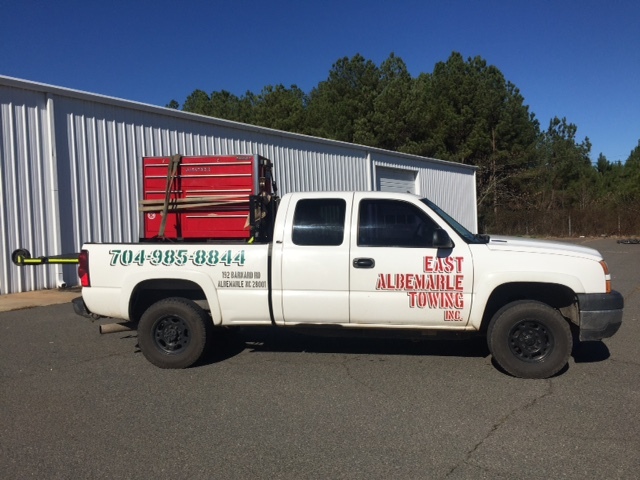 What makes us stand out at East Albemarle Towing? 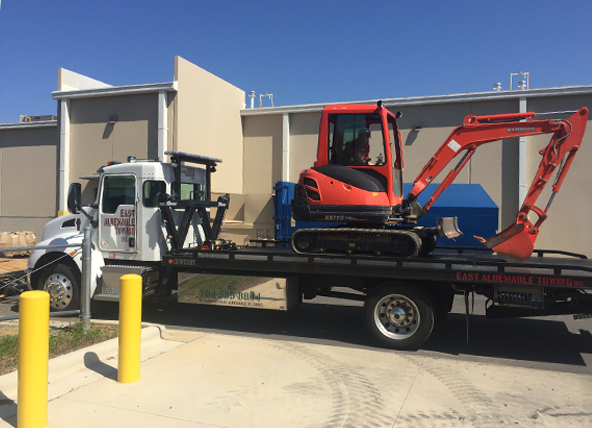 We strive to always provide professional services and deliver those services with professional, well-trained, and certified operators. 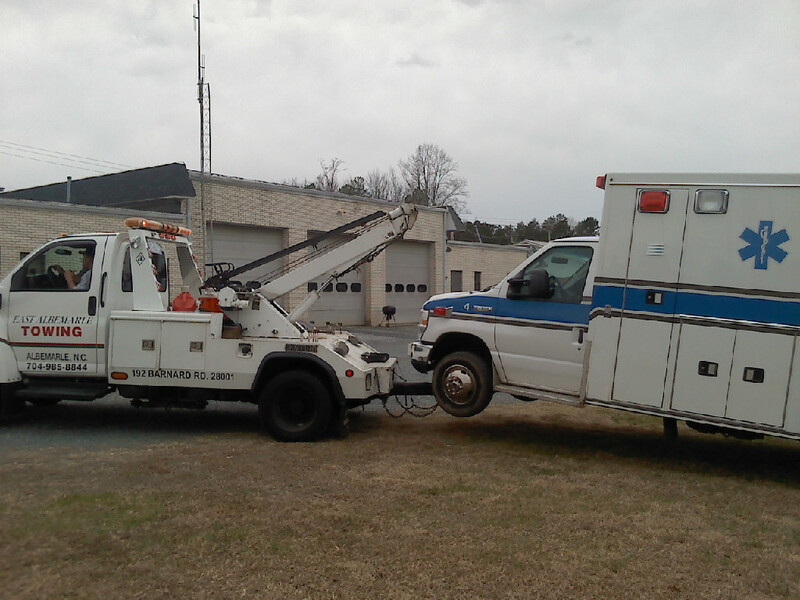 Your call will always be answered promptly by a live dispatcher. 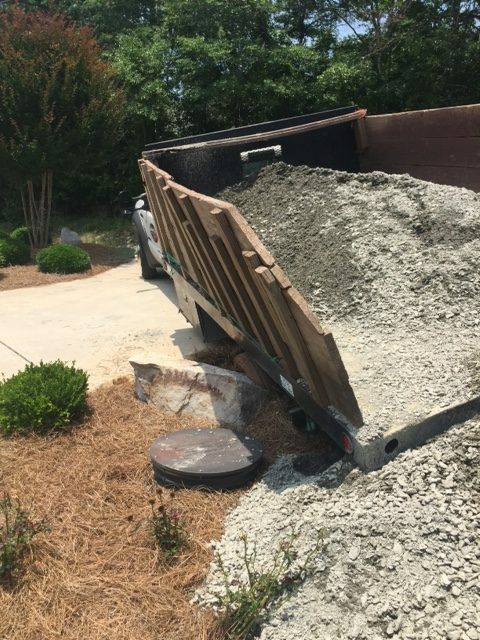 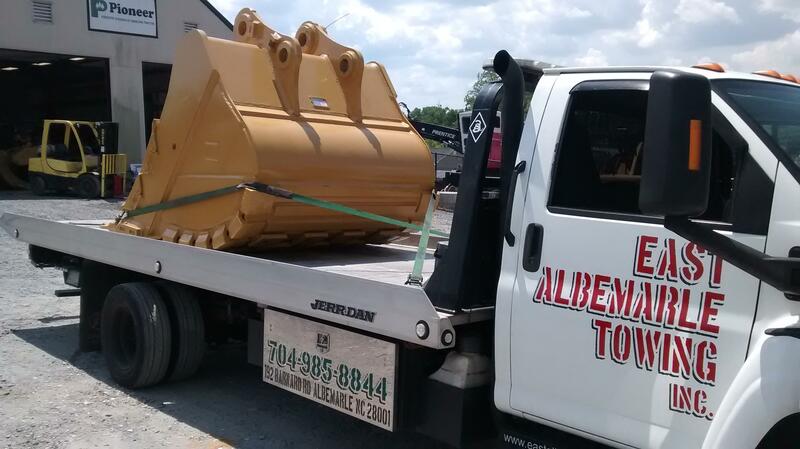 Our operators will always come to you with the correct equipment for the job, and in the timeframe that you require. 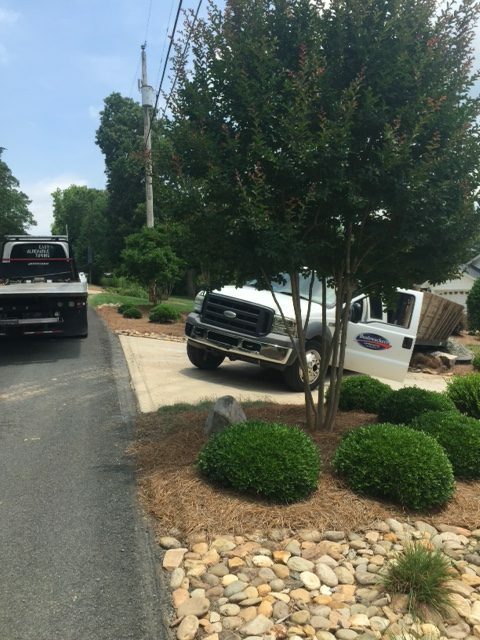 So call us at 704-985-8844 any time you are in need of a tow or roadside assistance, and we will gladly provide a towing quote if you request one. 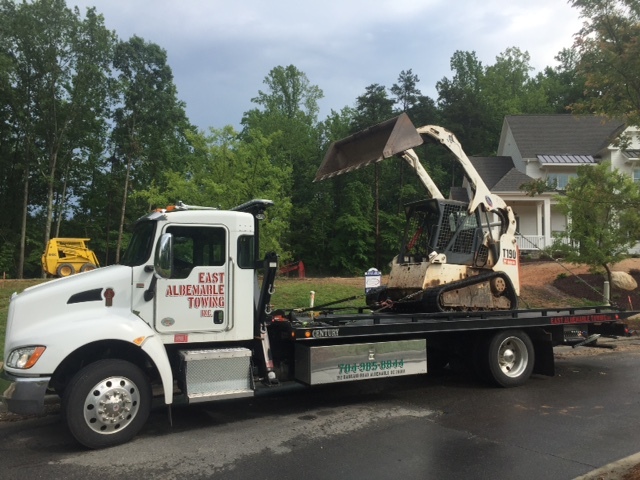 East Albemarle Towing is proud to be a veteran owned and operated business that has been serving customers in Ablemarle and the surrounding areas for many years. 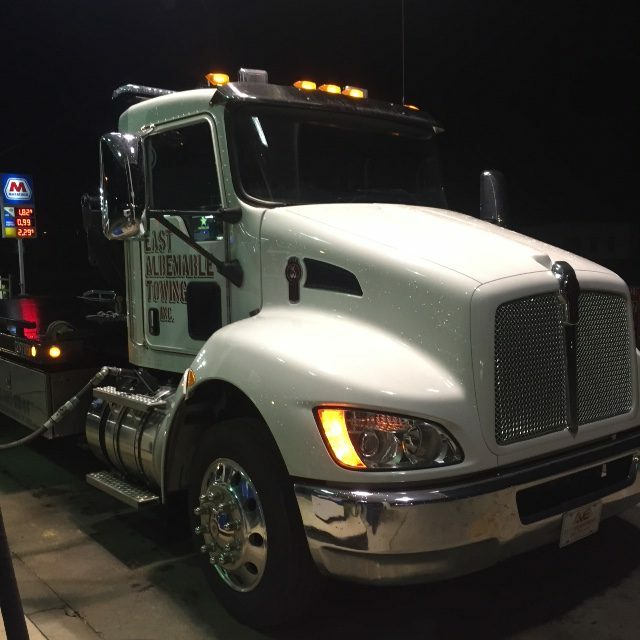 We are the friendly, local car and truck towing professionals that offer efficient and affordable towing services for both light and medium duty vehicles. 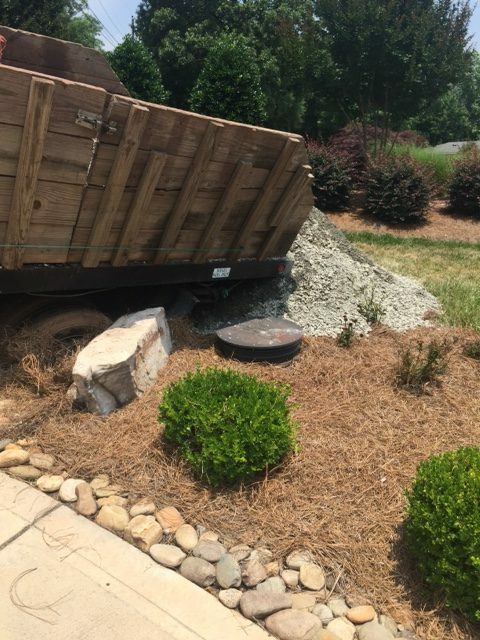 In addition, our operators are Wreck Master certified. 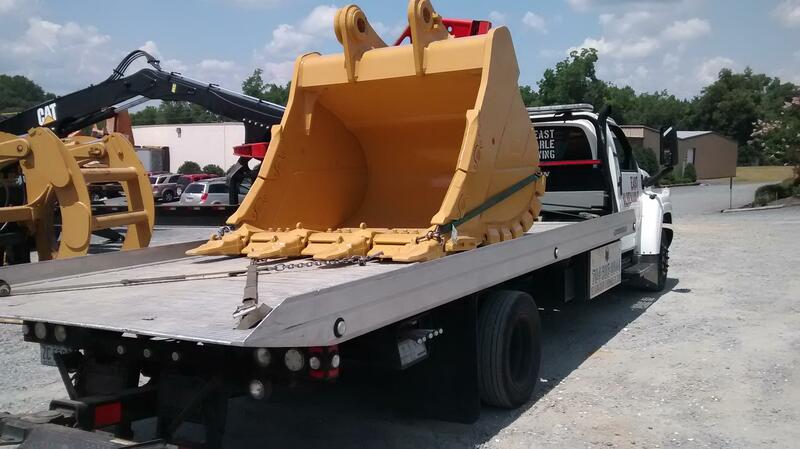 This means that they have extra training under their belt, so you can automatically feel confident that your vehicle will be handled properly and without damage. 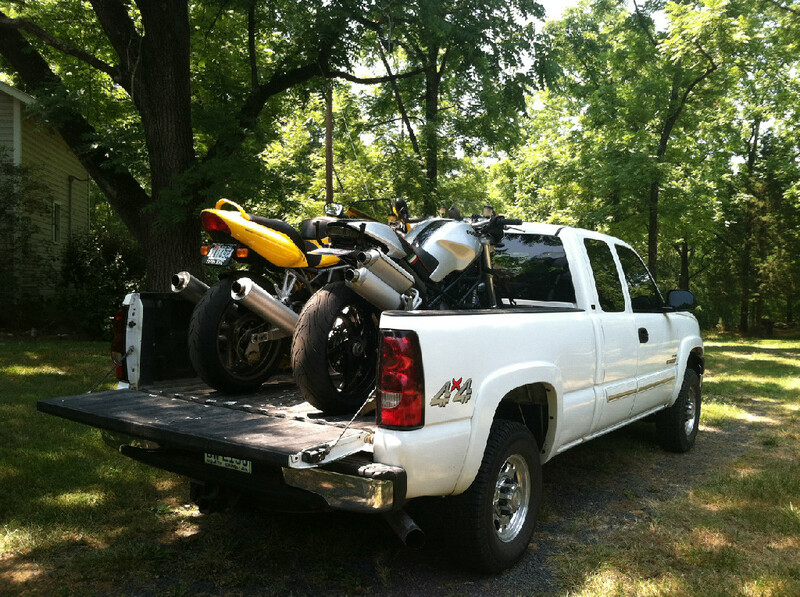 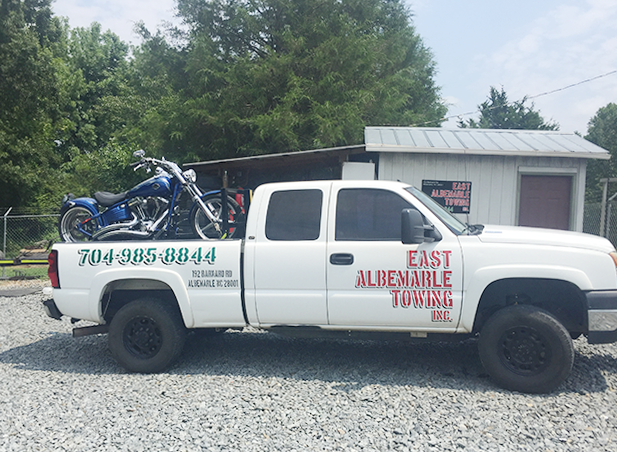 From a motorcycle to a car, or larger vehicle up to 26,000 pounds, the pros at East Albemarle Towing have you covered for towing, recovery, or emergency roadside assistance 24/7. 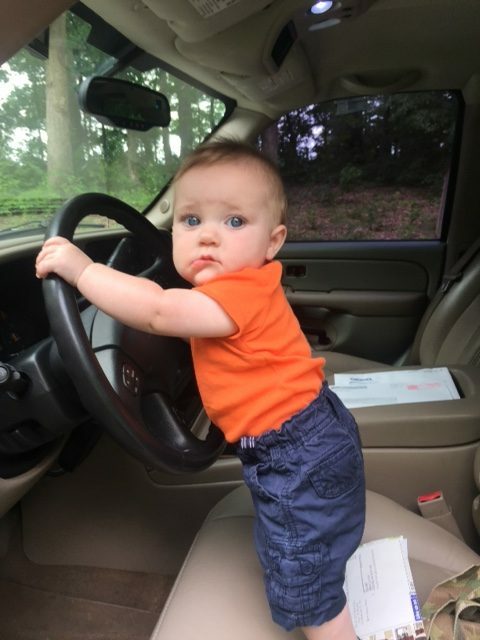 Locked your keys in your automobile? 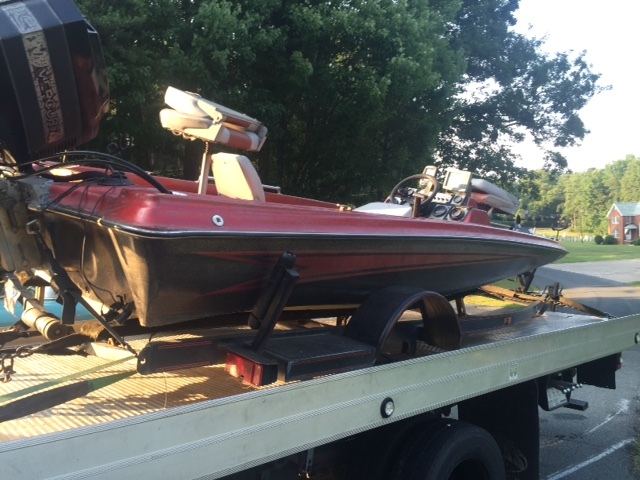 Need a boat towed? 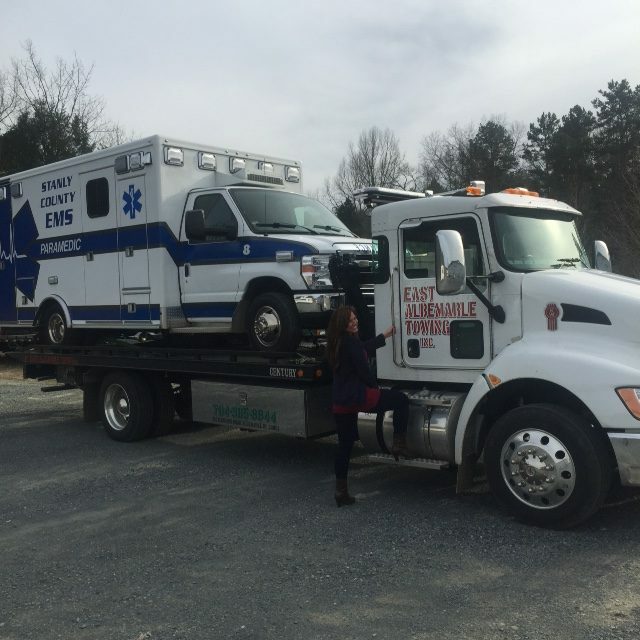 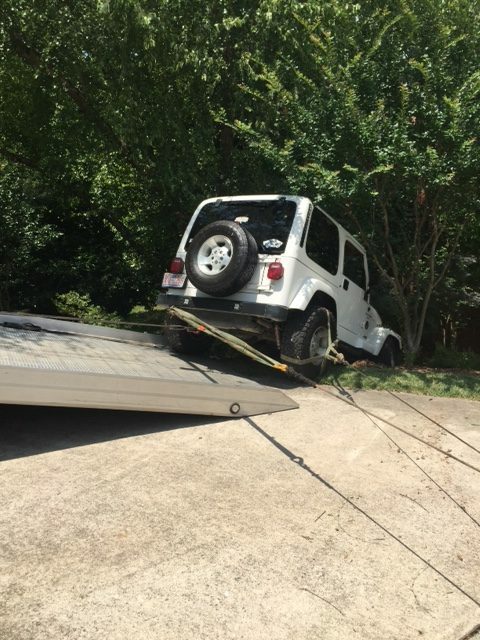 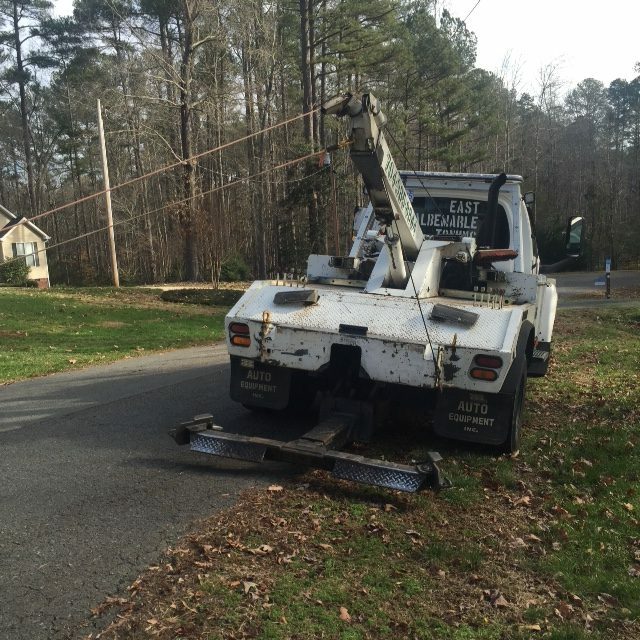 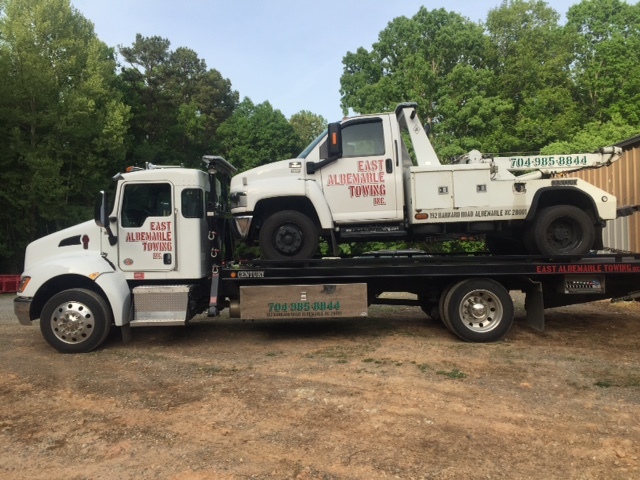 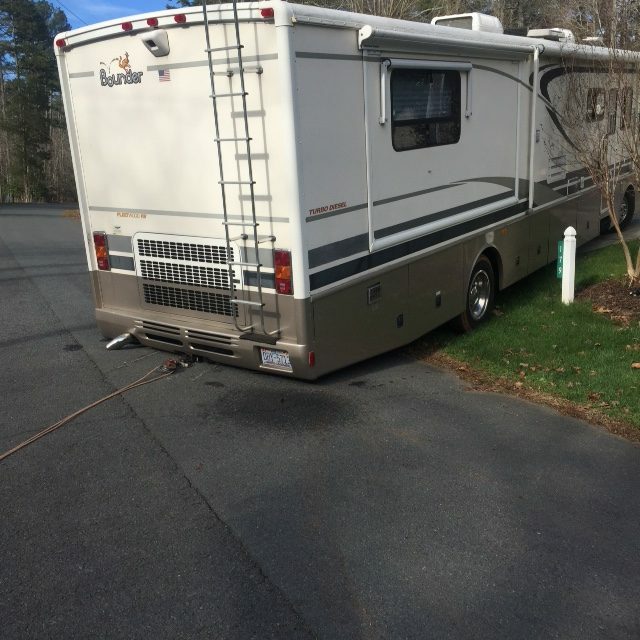 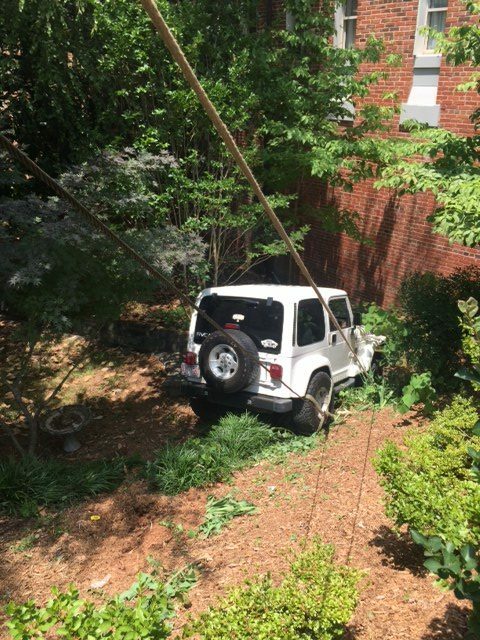 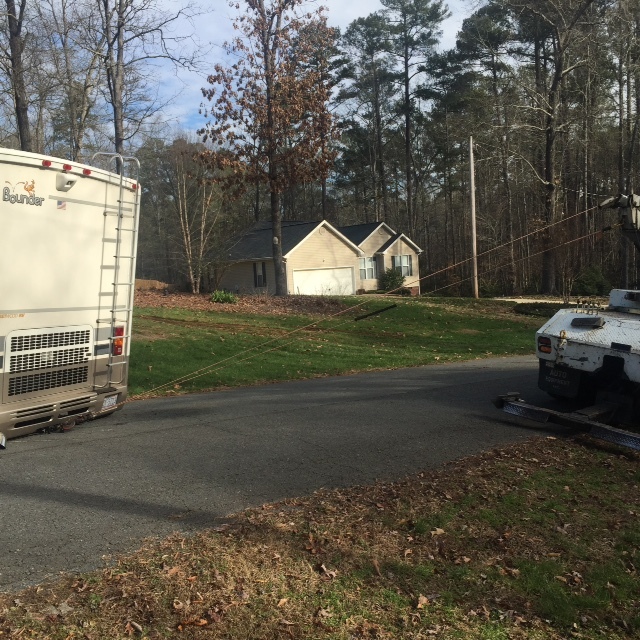 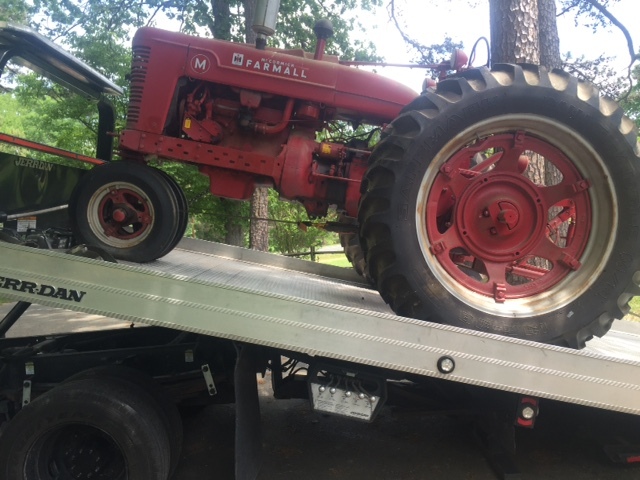 At East Albemarle Towing we take pride in all of our top of the line equipment to better serve all of your recovery needs. 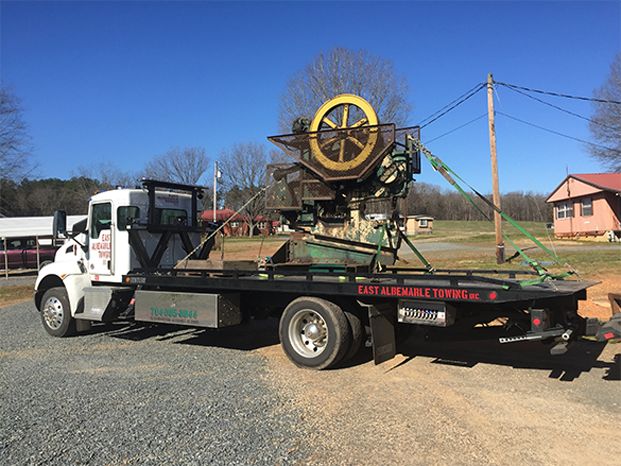 We can also help you transport farm equipment or move a storage building. 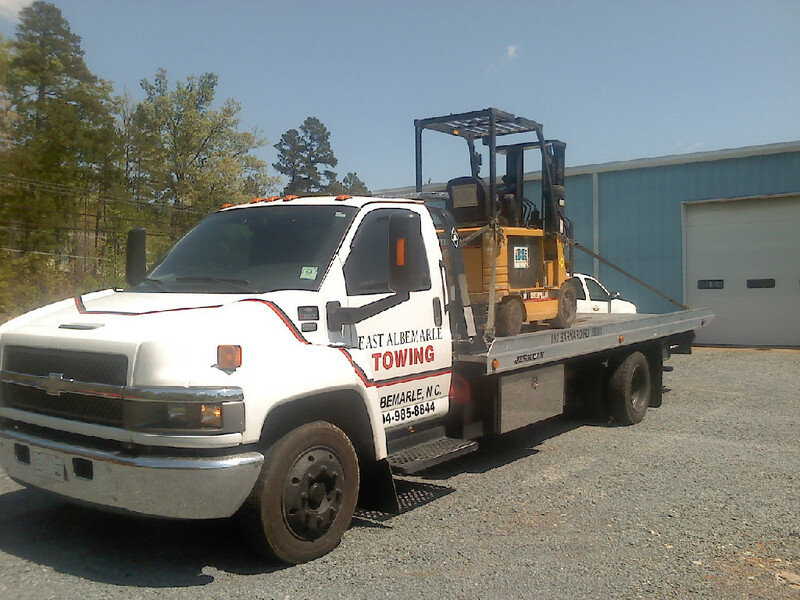 We specialize in short distance towing, and we’ve been serving the community for several years. 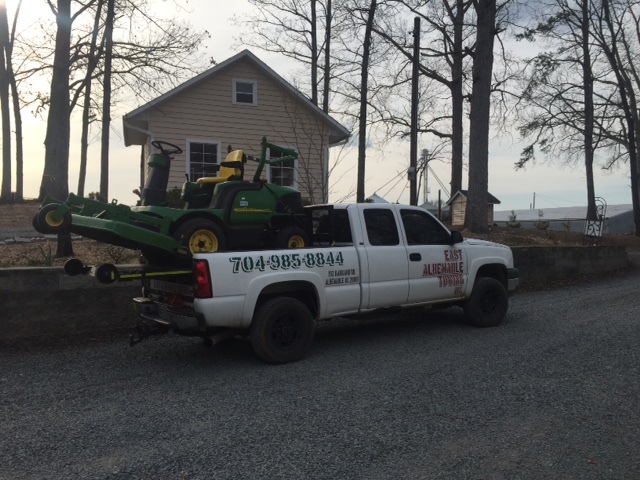 If you have any questions about the services we offer, please call us at 704-985-8844. 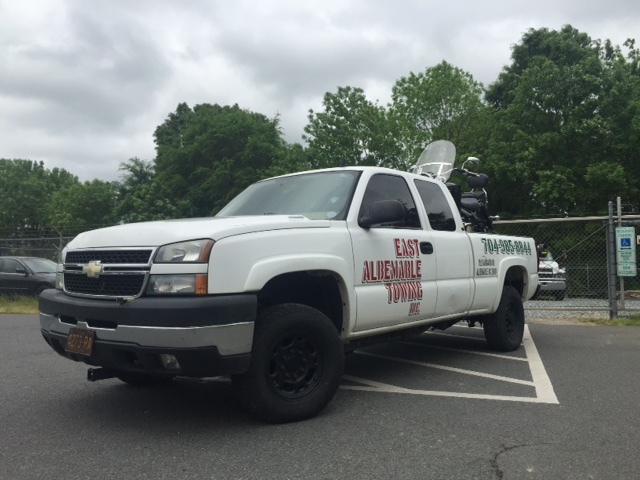 Below you will see many examples of our satisfied customers that have relied on us at East Albemarle Towing for all of their towing and roadside assistance needs.